A fake whisky bottling operation on an ‘unprecedented scale’ has been discovered in a London home following a tip-off from a whisky auction website. A 41-year-old man has been arrested by London’s Metropolitan Police following an alleged attempt to sell hundreds of thousands of pounds of counterfeit spirits at auction, in an operation ‘never seen on such a scale before’. A police raid of a residential address unearthed a ‘significant’ rare spirits collection, alongside a ‘sophisticated’ bottling operation that allegedly involved the refilling of hundreds of old bottles of whisky, rum and other spirits with cheaper liquids. The raid came after Whisky.Auction director Isabel Graham-Yooll noticed several bottles of fake whisky being submitted for auction among many genuine bottles, over a period of time. She became suspicious and arranged a visit to the property under the pretence of wishing to purchase bottles from the collection. She said: ‘What we saw at the property was a significant collection, hundreds of bottles, of supposedly valuable liquids that if genuine were unlikely to be available on such a scale. ‘This was an immediate red flag and our doubts were justified when we began scrutinising individual bottles. Graham-Yooll notified the police and was later asked to assist the investigation, which uncovered a variety of bottling paraphernalia. She added that the fakes discovered by the Whisky.Auction team were ‘exceptionally fine-quality forgeries’, and difficult for an untrained eye to spot. Whisky.Auction has notified all its customers, as well as other auction websites, of the incident and is assisting the police with its investigation. It believes its in-house experts identified the fake whisky before any was sold on to its customers, although other bottles may have been sold privately or through other auctions. Graham-Yooll added that, should consumers have concerns over the authenticity of any wine or spirits bought at auction, they should immediately contact the auction house from which it was purchased. She said: ‘We have a fraud policy in place, and Whisky.Auction would respond very quickly to a concern. 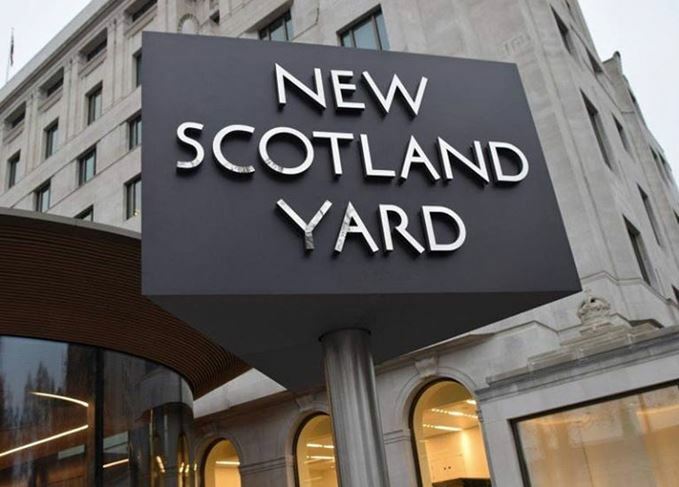 A 41-year-old man was arrested on 2 February on suspicion of committing fraud by false representation, at an address in Finchley, London N1. He was taken to a south London police station and bailed to return on a date in early April. The Metropolitan Police said: ‘Detectives from Organised Crime Command are investigating an allegation of fraud involving counterfeit whisky. In December last year whisky analyst and broker Rare Whisky 101 discovered several fake bottles of whisky worth up to £1m being sold on the market. At the time, RW101 co-founder David Robertson said the forgeries found by the company could be ‘the tip of the iceberg’ of fake whiskies on the market. There is no suggestion of a link between the RW101 discoveries and the alleged fake whisky operation discovered in London. Counterfeit whisky first appeared in volume at auctions in the 1990s, but it has only been in recent years, as more people invest in old and rare expressions, that instances of fake products have increased. Wine fraud is more common. In 2013 Indonesian wine collector Rudy Kurniawan was jailed in the US after selling hundreds of bottles of counterfeit fine wine to private investors and at auction. His story has since been made into a documentary called Sour Grapes.